Due to me having some time and my old OnePlus One Smartphone, I decided to have a look and find (stock) Android alternatives – something that exists without that rather enclosed Google-Environment. I mean, there surely has to be some guys trying to, right? 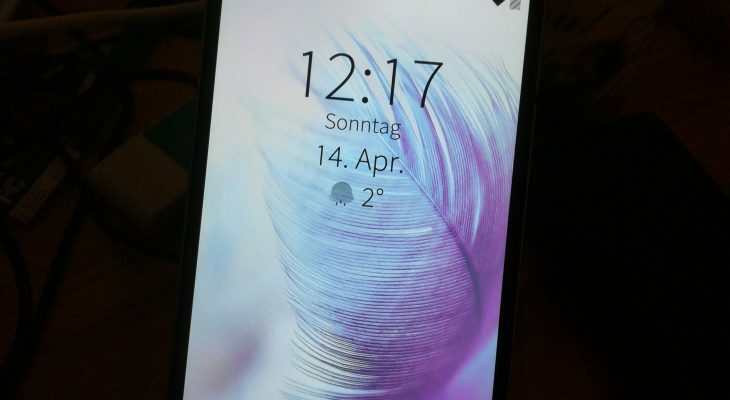 A quick google search showed some old Android 5 ROMs, Ubuntu Touch and Sailfish OS. As I have heard about the latter one a few times, I tried to give it a shot as some hacker on github managed to build Sailfish OS images for my OnePlus One. Sailfish OS as such looks beautiful as it comes up, presenting a well rounded OS which still feels kind of strange to me – even if it works astonishingly well. The UI concept is slick and elegant and looks amazing. Just my taste, to be honest. But on the other hand, using it is about many ‘flicks’ and ‘swipes’ across the screen which isn’t my taste at all. Honestly, my thumb started to itch after setting the device up – but nevertheless, it could get the job done so far as the following week showed. Far off the common Android system, living off IMAP, CalDAV, CardDAV and a simple browser that actually works, things are pretty fine and I could imagine surviving with such a device. Sailfish OS even claims to have Android Support, which would even give me access to some more stuff I would miss like my beloved Threema messenger. But due to a missing license I couldn’t test.